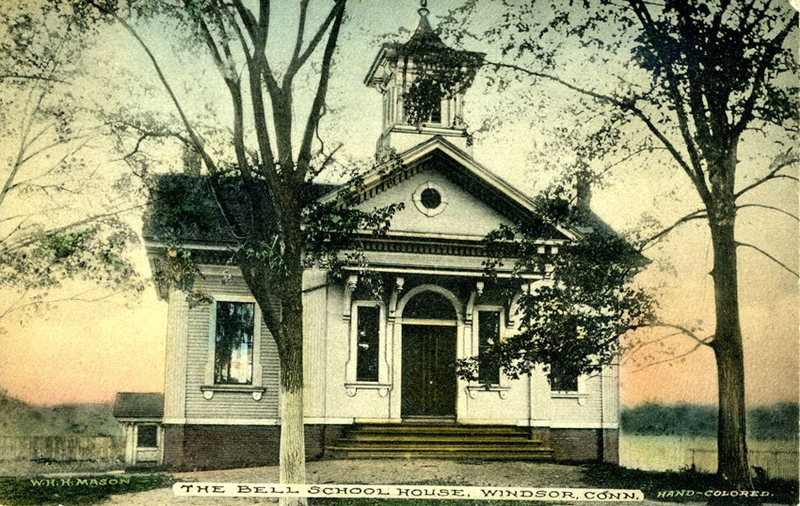 Description: Tinted postcard of the Bell School, Windsor, CT. Bell School was the elementary school for the 5th District from 1870 until 1935. Subsequently it served as the home of the local American Legion post. The building is now a private residence. The name was derived from the bell donated by General William S. Pierson.